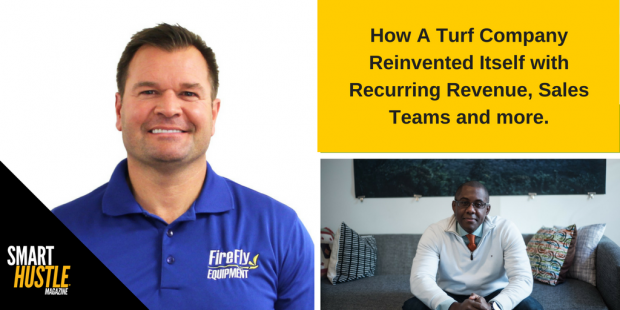 Home›Featured›How A Turf Equipment Company Reinvented Itself with Recurring Revenue, Sales Teams and more. How A Turf Equipment Company Reinvented Itself with Recurring Revenue, Sales Teams and more. Engineers are smart people. They're great at making cool products. However, to successfully grow a business, it takes a lot more. Listen to my discussion with Andrew Limpert, CEO of Firefly Automatix how he reinvented the company and started boosting sales and profits. We discuss the importance of building a sales team, upselling customers on other products and services, taking your technology and ensuring it translates to a solution for the customer, improving manufacturing time and more. We talked about the importance of creating recurring revenue, beyond just the upfront revenue.